For years, I heard people talk about their influential friendships and subsequent success. And I silently seethed with envy. It just seemed unfair. Of course those people were successful. They knew the right people. They were in the right place at the right time. They got lucky. Years later, I would discover how success is born of luck (I don’t think any honest person disputes that), but that luck, in many ways, can be created – or at very least, improved. The truth is this is not fair. For creative work to spread, you need more than talent. You have to know the right people and get exposure to the right networks. And as unfair as that may seem, it’s the way the world has always worked. The good news is you have way more control over this than you realize. What makes a person creative? Of course, as human beings we are all endowed with the ability to create. But what is the difference between that kind of “little c” creativity and the world-changing “big C” creativity? An individual must master her craft in a given domain (art, science, mathematics). This person must offer the creative work to a field of influencers in that domain who are trusted experts. These gatekeepers decide if the work is worth being accepted as authoritative into the domain. 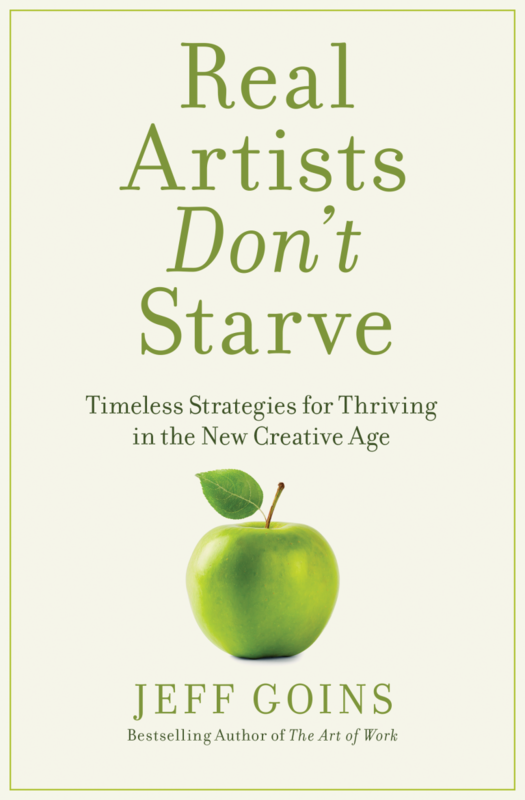 As much as I initially winced at the word “gatekeepers” when considering what makes creative work succeed, once I started to read biographies of famous artists, scientists, and musicians, it made a lot of sense. Talent is only part of the equation. The other two parts have to do with networks. When he was just a young man in his early twenties, Ernest Hemingway moved from Chicago, Illinois to a poor artist district in Paris, France. He had just returned from a short stint of serving with the Red Cross in World War I and wanted to pursue a career in writing. There was just one problem: he didn’t have much experience or exposure to other writers. Who would teach him? In Chicago, Hemingway met the writer Sherwood Anderson who encouraged him to move to Paris to meet Gertrude Stein. There, Stein was leading a community of writers, poets, and artists who were all sharing their ideas and growing in their respective crafts. Plus, it was cheaper to live in Paris, and as newlyweds, the Hemingways could live modestly while still having free time to travel and write. In Paris, Hemingway did meet Stein, as well as Ezra Pound, James Joyce, and many others who would help shape his work. This included a connection via F. Scott Fitzgerald to Scribner’s, the publisher that would later publish most of his novels and contribute to making him the most famous writer of his time. Once you understand the story of how this environment uniquely shaped one of America’s great writers, it’s inconceivable that such a development could have happened anywhere else. In other words, without Paris in the 1920s, there would have been no Hemingway. So what does this mean? Are we doomed to failure if we don’t live in the right place at the right time? Of course not. But it does mean that networks matter. This is why Van Gogh’s work matured more quickly once he met the French Impressionists. He now had a field of gatekeepers who would vouch for his work. This is also how we got The Lord of the Rings — through the collaborative power of a writing group called The Inklings. Similarly, I began reaching out to influential people in my town, in effect creating a network, I started to see unprecedented momentum in my work. Communities, it seems, create opportunities for creative work to succeed. You could move. According to Csikszentmihalyi, it’s easier to move somewhere new than it is to will yourself to be more creative. It’s easier than ever to transplant yourself someplace fresh and inspiring, even temporarily (I did this eight years ago). You could let go of your excuses and realize there’s a network available to you right now, wherever you are. This may come in the form of an online mastermind group or an event you attend. But the truth is there are connections at your disposal that you just may not be tapping into. Five years ago, I made a decision to let go of my cynicism. I reached out to dozens of influencers, even though I considered myself a shy person. Once I met the people who responded, I followed up and did everything I could to help them. I tried to be the kind of person they would want to invest in. I followed every piece of advice, did everything they told me to do, and didn’t question a word of it. And yes, at some point, I got lucky. It’s naive to say success doesn’t involve luck. But at the same time luck can be planned for, anticipated. Although I can’t tell when or where I’m going to get lucky, I do know the more I put myself in the company of great minds, the more likely some of that greatness will rub off on me. Find a gatekeeper. In my case this was Michael Hyatt, whom I met five years ago over coffee. This wasn’t by chance. I was strategic in reaching out to him, tenacious in staying in touch, and intentional in demonstrating that I was teachable. For Hemingway, this was Sherwood Anderson and Gertrude Stein. These were the people who held the keys to the kingdom, and every domain has at least one. Connect with other people in the network. Once I had spent six months earning Mike’s trust, he introduced me to others he knew. In some cases I asked him to do this. In many others, he just did it. Similarly, Stein introduced Hemingway to other writers in Paris who could help him. Help as many people in the network as possible. This is crucial. It’s not just who you know, it’s who you help. People remember what you do for them a lot more than they remember how funny or clever you were. In the early days, I tried to help influencers by interviewing them for my blog. It wasn’t much, but it was a foot in the door. And in spite of his reputation as an alpha male, Hemingway did this too. Of course, every person’s journey is their own. But what I am now more certain of than ever before is that success in any creative field is contingent on the networks you are a part of. The question is, will you embrace the power of networks and put yourself in the right place with the right people? Or will you keep thinking those people are just lucky? The fact is, luck comes to us all. But those who prepare to leverage it are the ones who succeed. I believe every story of success is a story of community. And the way you’re going to find your path is by walking alongside others on theirs. So what’re you waiting for? To read the addendum to this post, check out: What to Do When You Feel Left Out. To read more about Hemingway’s formative writing years in Paris, I recommend the book Hemingway: The Paris Years. To learn more about the systems approach to creativity, read the book Creativity by Mihaly Csikszentmihalyi. You can listen to any of these books on Audible for free when you sign up for a free trial. How has a network helped you succeed? Share in the comments. There is just too much awesome in that picture. I can’t handle it! Amazing, Jeff! Michael Hyatt is another writer and life coach whom I follow – and yes, he has mentioned you countless times on his podcasts – and I always thought the two of you were friends. I never realised that you reached out to him for guidance. Anyway, I’ve signed up for the 7-day trial. I don’t have money for the entire course, especially because of the rupee and exchange rate crisis, but I hope I can make the most of this trial and start saving up for future courses by you. Sure. 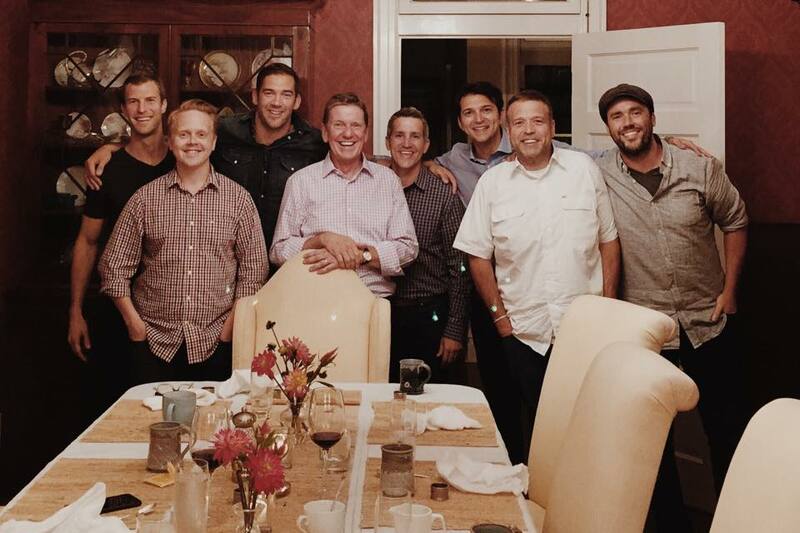 From left to right: Josh Axe, Me, Lewis, Howes, Michael Hyatt, Jon Acuff, Rory Vaden, Donald Miller, Jeremy Cowart. Very insightful post, especially considering many writers consider themselves introverted and less likely to seek out their extended community. The “gatekeepers”, with their already-established success, are particularly intimidating. Lots to think about! I totally get that, Kimberlee. I’m working on a followup post to this as I understand how this can come across intimidating (totally not my intent). Wow – Nice photo! Was it a Who’s Who Dinner? 🙂 Congrats on your success! I love this! (And it’s why I had the courage to email you the other day…because you’ve written so much about that meeting with Michael!) I am so thankful to have a strong network of female entrepreneurs and writers in my life. This coming weekend, I’m spending 4 nights and 5 days with them! One thing I personally struggle with is the “fake” part of networking. I usually err on the side of caution when approaching people because I do not want to come across as just wanting to use them. I want to value them as individuals and friends and give as much as I take. It’s so good to see you here, Erin! I struggle with approaching too because I’m afraid of coming across as a “fan girl” I am a very happy person and it sometimes throws people off…So fun to see you here! <3 Blessings! Hah! I may have seen that. You do a good job contributing to the network too, Rick. What an amazing group! I bet that was a dream dinner party. Thanks for sharing! My network started with one person: Liz Weston of MSN Money. I happened to sit next to her for a few years when we both worked at the same newspaper. After she left we kept in touch and when I e-mailed her about the finale of my divorce and my midlife return to college, she suggested to her editor that I do a freelance piece. For the past four years of Financial Blogger Conferences, I’ve met a ton more people. 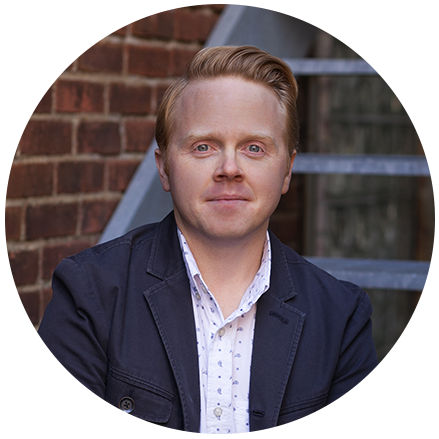 Finally, in starting my own website I developed a “tribe” of my own — an interesting, thoughtful group of readers who inspire me to keep writing for them. In return for what I’ve been given, I’ve tried to help other writers (especially beginners) and to pass along job tips and other things that might increase their experience and visibility. Love that, Donna. Way to go! This explains one big thing for me, and I am so glad I read this! I’ve been in a tribe and it’s been the wrong tribe for my brand! Yes, they provide amazing opportunities! But those opportunities are for marketers, and although I can market almost anything just by instinct, and enjoy it some, I truly have wanted to go in a different direction, making almost all I do clash with all they do. Lately, I’ve been so dissatisfied with this group I’m in, and felt really mean for not liking my experience very much, but that was the truth: I did not like it; did not feel as if I fit in. Well, I did not fit in. Recently, one of the members has contracted a publisher for her book, and THAT success did not come from being in the group we both are in. It is not a marketing book. She does not even have much of a marketing writing style. It’s going to be a lovely collection of essays about life in the South. And it has very little to do with our group we’re both in. She must have another group on the side, eh? Great share Jeff and great example in Hemingway. I was taught a long time ago that the environment you surround yourself with plays a big role in your life. I’ve seen it impact me in school, business, spirtually, and in the recent years it’s played a role in who I am as a husband. The networks help me stay on track, help me know that I’m not the only one having issues, and gives me an opportunity to help others with the same things. What’d you guys eat for dinner? A bunch of fancy healthy food (that actually tasted good). Fish, lentils, and polenta lemon cake! Thanks for such a great post Jeff- full of interesting and thought provoking info. 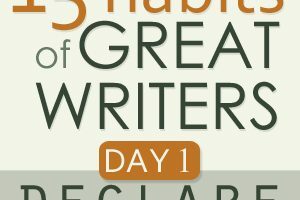 I am already a member of your Tribe Writers and it’s a great resource. Really like the new look and feel to it as well! OKAY. We’ll move to Nashville. Quit yelling at me. If the opportunity to move to Nashville ever arises, I’ll be on the doorsteps of everyone in your circle that I can, ready to fetch coffee, fix typos, whatever y’all want. Excellent timing! This is one of the big reasons I finally pulled the trigger and joined Tribe Writers last week. I’m really looking forward to it. The Hemingway example is perfect. You really sum it up with, “You need more than talent.” You could have a few of these together: you need more than marketing, you need more than luck, you need more than a tribe. I think you need a good balance of all of these things (and I’m sure you could add a few more to the list). Aha, here’s a question, what is a good balance? I don’t know if you’re a math guy, but I’m thinking pie chart. What would be a good balance of: talent, tribe, luck, persistence, production, etc. Thoughts? I think in threes: practice, network, and audience. Equally divided pie chart among those three? This might be a bigger topic than a quick comment on a post … ! Jeff – this is a great post. I love the Hemingway example. The “Gatekeepers” concept has alway been a tough one for me as well. Making connections is perhaps the number one of the thing I struggle with, even online, where it should be easier. Right? I’m always afraid of bothering folks. Take you for instance. I had no less than 3 occasions to say hi at WDS this year. Each time, I shied away, because I didn’t want to bother you. I guess I didn’t want to waste your time. Other than saying hi and thanking you for your books and programs, I really didn’t have more to offer at the moment, so instead I stayed silent. I know I need to get past this. I need to risk connecting with folks, looking foolish, and possibly being rejected, if I am going to get my own message more into the world. Thanks again for the reminder! Oh, dude. You should have said hi! Jeff- Great photo, great message and success well deserved. I would underscore your point about “mastering” your craft. I see bloggers and creatives out there trying to network and reach gatekeepers before they mastered their craft. There obviously has to be value there! I found this post incredibly inspirational! As an aspiring designer, in my second year at University, it was just the encouragement I needed to here. I hope that with the right connections, I can find my own Paris, as you mentioned! So you dont think being a white male had anything to do with it ? And why when you were given networks for free do you make others pay ? Hi Katrina. Actually, I’ve been thinking a lot about that lately. Stay tuned for a follow-up post. Thanks for bringing this to my attention. And I don’t make people pay for networks. There’s a free group on Facebook called My 500 Words that anyone can join. And we’re giving away a free trial to my course, so I’m not sure what you’re referring to. I’ve actually tested giving the course away for free versus charging for it and those who pay always complete it at a higher rate than those who do not. We also do scholarships for select individuals and give 10% of the proceeds to a nonprofit that does development work in rural Kenya. I’m proud of both the business and philanthropic sides of what I do — our community is doing what it can to make its own dent in the universe. Interesting post – and as you say “not fair”. This principle applies to so much more than writing – it impacts on political success and gives a leg-up in so many business sectors and industries. It’s the chance friend you made at school who is now an influencer, the person you sat next to on the aircraft. As someone who lives so far away from “where it all seems to be happening” (I’m in South Africa), it seems even more unfair. I guess that means I just need to try harder, and try the channels that don’t rely on face-to-face! That’s right, Andrew. And though I don’t think all opportunities are equal, I think we tend to have under leveraged opportunities and resources we’ve simply failed to recognize. And yes, I’m a fan of making personal connections as much as possible, even if via video Skype. The point is to connect and then follow up. Hi Jeff, thanks for this post! What I really like about this idea is that it’s almost the opposite of a scarcity mentality. With scarcity, there’s only so much X to go around. If someone else gets X, the chance of others getting some goes down. Your approach is more about looking for communities that have a concentration of X, because those are the communities where X multiplies. You said it better than I could, Jonathan. Thanks for sharing this post. I’ve watched your progress for the past 5 years and have been inspired (though embarrassing that it’s taken THAT long) to get moving. So to ask a question that you touched on here, the very first way you reached out to the influencers was to interview them? What was their impetus for saying yes? I know that your readership wasn’t substantial in the beginning (hardly anyone’s is), so what was the draw for Michael Hyatt (or anyone that had some clout) to agree? And how did you conduct the interview? P.s. I took you up on the offer to test drive Tribe Writers and have been devouring the content. Definitely worth it to anyone considering the program! Kevin, I think the reason people said yes was because they had a chance to tell their story. I’ve been surprised at how many influencers will say yes to the opportunity to talk about themselves. It’s classic Dale Carnegie. In the case of Hyatt, I THINK it had to do with the fact that I started meeting some of his friends and he had heard about me. Also, to his credit, he’s admitted to feeling “particularly generous” that day, which I’m sure had a lot to do with it. I can’t take credit, only tell you what I did to hopefully make his “yes” come more easily. But honestly, I don’t think the first yes is that hard. The harder part is staying in touch and building a relationship with the person. I did that through a series of small asks, that included an interview with him on Twitter, guest posting on his blog (at a time when he didn’t have time to blog himself), joining his book launch team, and several other things. That kind of effort adds up over times and demonstrates that you aren’t a take. In my experience, influential people want to spend their time investing in those people. So I tried to become one. And thanks for checking out Tribe Writers! Hope you like it. Wow, so much to love about your reply! Second, ( and maybe this should’ve been first?) LOVING Tribewriters! Very simple yet insightful, which is exactly what I need right now to keep momentum. So I look forward to joining the Tribe! Thanks for all you do and look forward to learning more along the way! Awesome! So glad to hear that, Kevin. Jeff! This is SO good! I’m not sure I’ve ever met a more honest writer! So funny, because when Lewis Periscoped after the dinner – I thought “Oh, how I want to be around them!” Goodness! You’re so spot on about the feelings one might feel – I have sure felt them! Thank you for everything you do!! Blessings! Thanks, Vicky! Next time, you definitely need to be there. This post is a very good read. It says what it really means to put your writing to good use with all the effort you can really put into it to make it good. It mentions about giving a real seriousness to writing. All writers need to be serious about their art if the craft they are preparing is going to be considered good enough to be printed eventually. Well said. And thanks for the comment! Thanks Jeff! I really enjoyed your post! You’re a great writer and very personal, caring. Thanks, Amy. That’s very gracious of you. Ahhh Jeff! This is exactly what I tell people…only you say it sooo much better and more clearly 🙂 Thanks for a great article! Thanks, Mark! Keep fighting the good fight. Thanks for the post. I’ve been following you for several years now – I bought nearly every one of your books, and you’re an inspiring testament to the rest of us who have a passion for writing. I feel resentful at you. I feel the picture of all these thought-leaders is a picture of exactly where I want to be, and the people I want to be around. The old adage comes to mind: “If you want to win, surround yourself with winners.” I’ve reached out to Michael Hyatt, Jon Acuff (I actually sent him a handwritten letter), and similar writers (including you, actually) I want to be around, but no response. It’s difficult for me to see everyone hanging out, sharing ideas, submitting their work to a field, developing relationships with the gatekeepers of the writing/blogging world. I so desperately want to break into the field of influencers. I appreciate the audacity of your suggestions. “Don’t have a community? Then MOVE.” I feel defensive, and make excuses. “I can’t just MOVE, Jeff Goins! I have a life here. Maybe it’s easy for you, but you’re special. I’m not.” I haven’t had any luck developing a community of Creatives in San Diego, and it’s been far easier to make excuses. It’s difficult for me to imagine taking such a risk for my writing when I haven’t made even a single penny off my work in over 2 years. This comment isn’t a call to action, or a critique of your message, it’s an honest thought by a long-time follower whose had little to no traction getting into/creating a community of Creatives. You’re right – talent isn’t enough. For me, that’s as depressing as it is wise. I feel I’ve been toiling away with my blog for years, developing my voice and learning the in’s and out’s of the writing and blogging world, and perhaps I need to “put in my time” before Michael Hyatt invited me to dinner, or even just before my writing will be taken seriously. It’s difficult to read this post, see your level of success, and not be jealous of not being invited to sit with “the cool kids.” Thank you for writing it. Thanks, Anthony, for this thoughtful response. First of all, I’m so sorry that these words stung. That wasn’t my intent, but I understand why they would. I appreciate your honesty. I’ve heard similar things from other readers, so you’re not the only one. It’s making me think a lot… about a lot of things. That said, you asked some questions that I feel compelled to answer. The message of this post is that there are opportunities available to you, wherever you are. And if there aren’t, go where the opportunity it is. I don’t think moving is the answer for you (in fact, I’d love to introduce you to some folks in San Diego as there is a great community of creatives there). I think the unintended consequences of this message was “here’s how to get to this table.” And that is unfair. Because the truth is I think we are all called to different tables, and when the opportunities aren’t presenting themselves, it’s time to set a new table. For me, that means realizing there are some natural inequities in the system and working to overcome those without ignoring them. Every industry has its rules and every domain has its own set of cultural norms that we often and sometimes unfortunately have to play by, but that doesn’t have to be the end of it. I’m very interested in exploring how we can create more opportunity for those feeling left out, dismissed, or overlooked and who have something meaningful to say. I’d love to dialogue further with you about this. I just sent you an email in reply to when you originally reached out. Sorry that took so long. Hope we can continue the conversation. Wow, thank you for taking the (ton of) time to respond to Anthony. It clearly shows that you care about your craft and care about helping others. Based on amount of thought (and number of words) you put into your reply, we can safely assume that Anthony struck a chord. I think I can safely say that because I’m also in his shoes–and it certainly struck a chord with me. Thank you, Anthony, for taking the time (and guts) to write out such a heartfelt reply. Anthony, the difference between me and you–and remember, I’m pretty much in your same shoes–is that I’m not resentful of Jeff’s photo (and fame etc.). Please don’t take this the wrong way. I’m not trying to say I’m better, I know the path, I’m ahead of you, etc. I’m partly replying to you, but also to myself here. You can believe me or not, but we’re all (you, Jeff, and I) in this together and I believe we’re cooperative, not competitive. But the difference is that i’m thrilled for him. I’m optimistic about myself in hearing more and more about his story and experience. It all just makes it more possible for the rest of us. Remember, we’re not following his path, we’re forging our own path. So it will be different and maybe slower, maybe faster, but we also don’t want to follow the same path. That’s his path. We’ll find our own. A writer walks into a bookstore and says one of two things: (1) Wow, there are so many books in here! How can I possibly compete? or (2) Wow, there are so many books in here! If all of these people can do it, so can I! It’s also not a “zero sum” game. There isn’t only one table. In fact, there aren’t even a limited number of tables. Jeff suggests to find another table, but you could add to that the idea of creating your own table. If you’re swinging for the bleachers and coming up empty, aim a little lower. 1 = 1, but 1 + 1 = lots more than 2. Lots. Don’t go it alone, it’s too much work. Finally, the Tribe Writers course just started a few days ago and already, seriously, I’m more confident about all of this than I was when I started. Jeff is leading the path, he’s giving us tools to get there. We just need to do the work, persevere, be patient, keep our eyes open and keep going beyond the expected and doing the unexpected. I looked for you in the Facebook group, but didn’t see you. Jeff was offering a free trial, maybe it’s over, but if not, join in and let’s work together to get there. Because we will get there. I’m not sure how or when, but we will. Thank you both very much for the time and bravery it took to write these comments. While I strongly believe healthy networking to get spread to the right audience is absolutely important…. I do agree with the another side of the story and wow you just said it…. “The world eventually caught up with that band of misfits. Why? Not because they tried to go it alone, but because their rejection by the mainstream people led to the creation of a new, and arguable better, tribe.” — so very well said Jeff. Thanks so much for the thoughtful response. I think there’s a lot of ways to look at this – my knee-jerk reaction to be resentful at you for being at a “table” that I desperately want to be a part of; feeling happy for you and encouraged that you made it, and so can I (referring to Bradley’s comment – thanks, Bradley! ); whatever the case, the point is to keep doing what I can to get to the table (or to make my own table). Jeff, I’m very passionate about helping people with an important message to be heard and making sure they’re not overlooked like they constantly are (I believe many of your commenters may feel this way, people who have created heartfelt, amazing platforms with very little traction so far). Thank you for the advice about finding the right table, and encouraging us to either make the hard choice to actually move to where they are, or to perhaps make the harder choice and make our own table of misfits who may be right next door to me. I emailed you back – looking forward to continuing our dialogue, Jeff! Thanks for such a deep cutting post. I’m struggling big-time with the “gatekeeper” part. But, that is part of the parcel and package. Will call on Mr. Churchill here: giving up is not on the table – will not only try harder, but work harder and network more effectively. Serious, what will happen when we ALL move to Nashville, or Franklin for that matter? Hah! One can hope, Danie. So great to meet you at Tribe Conference last weekend. What a handsome bunch of writers:) This post really resonated with me – firstly because of your mention of luck and how we have the power to create our own luck (I deliver career coaching as part of day job and read a great book during training I was delivering called The Secret of Luck by the psychologist Richard Wiseman – well worth a read). And secondly your focus on the importance of networking – I have attended a writing networking event for years and met lots of great writers through this, then one night I met my (now) publisher. I got to pitch my book to him face to face and it comes out at the end of next month! Jeff, this post struck chords with me, too. For decades, I hated that everything in life depends on “who you know.” I didn’t know anyone. I was hand-to-mouth dirt poor, and I was stuck in the most backwater no-village areas imaginable. I never gave up, though, and once I obtained access to the Internet—finally, a chance! It’s been a Sisyphean battle, and I started out editing for free (and then it took four years before I hit the tipping point) but it worked. For the first time in my life, I am out of poverty (and Lord willing, I am never going back). I have a 10-month waiting list for my book-editing services, and just expanded my business to include several independent contractors to free me up to do the higher-level work. While I’m not at the Hyatt-Flynn-Goins-Ramsey-Miller-Acuff table yet, I’m getting closer, and I will be there one day. I have made it to the Woosley-Miller-Traub-Morkes-O’Brien-England-Easley table, and I have people asking to join my table now. (My table?? I didn’t know I had a table!) What a thrilling, humbling hub-jub of feelings that is. Keep up the good work, Jeff. One day you (and/or others at your table) will need something HarshmanServices has to offer, and I will be honored to give it, just to be in your presence. That’s awesome, Jennifer. I think we can and should create the communities we want to be a part of. I loved this article and can truly relate. I am bold behind a screen but shy in person. I have grown by reaching out to potential clients I really want to work with in the county I live and it has paid off wonderfully. The thing that holds me back is networking in person. I’ve tried it a few times and don’t enjoy it. I know that if I can get over it and keep getting out to network in person, I will see more success. That’s an action step that I can take now. Thanks, Arlen. I appreciate that. Hi Jeff, I’m really struggling with this post. As much as I agree with your points and think your assessment is correct, I have difficulty with approaching people with a posture of trying to “get things” from them. When people have approached me merely for what I can offer them, it’s made me feel like a commodity. Like I was just some sort of coal they needed to keep their train running, and not a person. As soon as the fuel was burned, they kept barreling down the tracks. They didn’t need (nor want) me in their life, just my influence/funds/resources/stuff. It felt dehumanizing to me, so I vowed to never do that to others. I’ve tried to always love people for who they are, where they are, and without expectation of how they’ll benefit me. I certainly don’t think you’re advocating using people, and I see what you’re saying about serving the community once you’re in it, but that’s still after you’re in it. How do you initially approach the “gatekeepers” while respecting them as people and not treating them as commodities there to serve your needs? Yeah, Jay. I don’t think you approach people trying to get things from them. I think you approach them wanting to help. And over time, what goes around tends to come around. But if you do this for the wrong motives, I think people can sense that. A bit of a paradox, I think — don’t help people so that they help you, but if you do reach out with an honest effort to help, many will reciprocate. Thanks Jeff. How do you get over the inferiority complex that comes with rubbing shoulders with such influential people, especially at first? I don’t feel qualified to call on them and I feel like I am a hindrance; so I just wondered what your approach was? I think it takes time. But I still feel that way. Over time, as your work is affirmed by “gatekeepers,” you realize maybe you actually have something of value to share. But in the beginning (and maybe always), you have to force yourself to share, to believe you have something to contribute. It is the fear factor we all fight I guess. Thanks again. Jeff, I found your work early on my journey- the writers manifesto. That taught me to believe my instincts that those skills I’d developed to produce ‘prize winning’ academic writing is nothing, if it’s not the writing I want to do, to reach the people I care about. Then I stopped following your work to follow others’ teachings. Last week a friend of mine (who’s written a book) shared an article of yours with her community, then your work was mentioned in a ProBlogger blab and I’m here today because this article has just come up in my Medium feed. So I’m back now! There’s clearly something I need to learn here from Mr Goins’ brilliant work. You mean i Can just Approach These People ?, it sound so easy Though ! , i will First Need to practice what to SAY to them and learn The Art of creativity . It Sounds GREAT though ! Thanks for this! Great post ! How I’m starting with what I have: Today, 1. I did an hour coaching call with contact I met at Tribe Conference who’s agreed to do an hour with at an affordable rate. 2. I went to my first local writers meetup club. I met some local writers who are on the same journey as I. 3. I’m commenting on this blog. Thanks for the dose of reality along with actionable steps Jeff.